Water is, quite literally, the river on which our good health flows. Water detox can be more effective than other fussy or expensive so-called detox beverages. Water carries nutrients to our cells, aids digestion by forming stomach secretions, flushes our bodies of wastes, and keeps our kidneys healthy. It keeps our moisture-rich organs (our skin, eyes, mouth, and nose) functioning well, it lubricates and cushions our joints, and it regulates our body temperature and our metabolism, just to name a few of its many functions. Water also plays a crucial role in disease prevention. In a study conducted at the Centre for Human Nutrition at the University of Sheffield, England, researchers concluded that women who stay adequately hydrated reduce their risk of breast cancer by 79 percent. 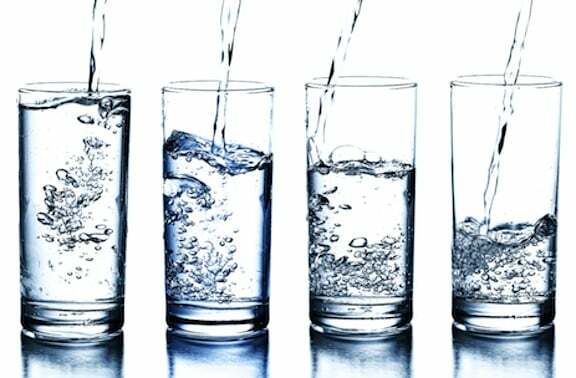 Another study, done at the Fred Hutchinson Cancer Research Center in Seattle, found that women who drink more than five glasses of water a day have a 45 percent reduced risk of colon cancer compared with women who drink two or fewer glasses of water a day. Many doctors believe that proper hydration can help prevent chronic joint diseases, such as rheumatoid arthritis, because water reduces inflammation and promotes cartilage health. 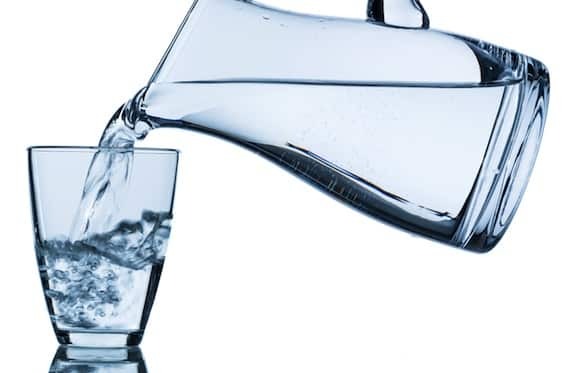 Adequate water consumption can also slow the signs of aging and improve conditions such as constipation, diabetes, hypoglycemia, obesity, arthritis, kidney stones, dry skin, wrinkles, cataracts, and glaucoma. Without enough water flowing through our systems to carry out wastes and toxins, we would literally drown in our own poisonous metabolic wastes. I don’t mean to sound alarmist, but this is no exaggeration. Even slight dehydration can wear down our systems in ways that seriously compromise our overall quality of life. Just as the liver is crucial to the digestive process, the kidneys are necessary for helping the body remove water and waste. The kidneys are a pair of small organs that are located near the spine at the small of the back. They take in about 20 percent of the body’s blood each time the heart beats, cleans it of unwanted substances and then produce urine, the fluid by which these wastes are eliminated from the body. Normal-functioning kidneys also control the concentration levels of body fluids. If body fluids are too dilute, the kidneys expel excess water via urine. If body fluids are too concentrated, the kidneys excrete the excess solutes and hang on to the water. In short, the kidneys are all about balancing the fluids and electrolytes in our bodies so that our systems run smoothly. If the kidneys don’t get the water they need to perform these filtering functions, our health deteriorates rapidly. Electrolyte is the scientific term for a type of salt made up of ions that are positively and negatively charged. These are the “sparks” that transfer electrical messages across cells, and this activity is what makes our bodies function. Our kidneys work to keep our electrolyte concentrations steady, since they must be replaced constantly. If they’re not, dehydration can set in, which can lead to organ damage and seizures. How can we be sure that we’re getting enough electrolytes? Do we need to buy specially formulated, sugar-enhanced sports drinks? Many sports physiologists actually recommend water—that’s right, plain water—over the fancy sports drinks that are marketed to us. Experts have found that the difference in electrolyte content between water and sports drinks is important only to elite athletes who are competing professionally in endurance events. Since electrolytes are already plentiful in the American diet, moderate to regular exercisers don’t have to worry about running out of these salty ions. Edible sea vegetables, the most nutrient-dense foods on the planet, are a great source of electrolytes as well as of minerals and trace elements. According to Traditional Chinese Medicine, the kidneys and bladder regulate the fluids in our bodies and make up the Water Element. Our kidneys are fantastic removers; they get rid of the waste products from protein metabolism—uric acid, urea, and lactic acid—but they need lots of water to accomplish this. Traditional Chinese Medicine reveres the kidneys because they distribute qi, or vital life energy, throughout the body. The kidneys are responsible for removing excess hormones, vitamins, minerals, and foreign toxins such as drugs, chemicals, and food additives. Drinking water is hugely beneficial for weight loss. In fact, if you’re looking for a magic bullet to get your weight loss under way, there is no better strategy than to drink 10 glasses of water a day. Here’s why: Water is a natural appetite suppressor, and it helps the body metabolize fat. When the kidneys don’t get enough water and can’t function properly, the liver gets called upon to fill in and take on the role of eliminating toxins from our systems. Normally, one of the liver’s big jobs is to metabolize stored fat into a usable form of energy. But when the liver is busy doing the kidneys’ job, it’s not available to metabolize stored fat. As more and more fat is stored in the body weight loss stops. Paradoxically, drinking lots of water is also a best remedy for water retention. The body retains water as a response to not getting enough water in the first place. Perceiving a threat, the cells cling onto the water they have, causing swelling in our hands, feet, and legs. When we drink enough water, our cells can relax and do their job-without holding on to the scarce water. Also, someone who is overweight needs to take in more water than someone who is thin. This is because the larger person has a larger metabolic load. To support this, more water is needed. As you are losing weight, your body is going to have more toxins and waste to dispose of. Step up your water intake at this point, and you’ll help your body eliminate wastes more efficiently, thereby helping your weight loss along. Excerpted from The Great American Detox Diet: 8 Weeks to Weight Loss and Well-Being by Alex Jamieson. Visit Alex at Healthy Chef Alex. I noticed a big difference in how I feel on days when I do and do not drink enough water. On the days where I am thirsty, even though I don’t feel it, I am tired and cranky. And sometimes, when I don’t expect to me hungry, but am, it’s thirst. I lift weights , and for sometime I wasnt drinking enough water, when I enhanced my intake of water up to around 3 liters per day, things started to change extremely well in my health to the better, I lost fats , my stomach got better, my sinuses got reduced , it is a MEDICINE ! Got up this morning and found out that I had a gut feeling in my throat and stomach. I ate beans at about 10am yesterday, cucumber and groundnuts at about 1600hrs. I just had a glass of water in between and no other until I had melon soup and eba. I believe this caused the constipation. As of 06:10hrs this morning, I took two glasses of water, which made me to vomit after visiting the toilet to remove wastes. I continued the water intake until I could belge freely. It 16:08hrs now and I am ok.
What a great post that simplifies and summarizes the many benefits of drinking water. Our cleansing organs can do their jobs more effectively with adequate hydration. Thanks for the reminder! I always struggle with drinking enough water when it’s colder out – this is great information and a good reminder to stay consistent all year long. Thank you for sharing!